Glad there is a day for it. Shame there has to be a day for it. 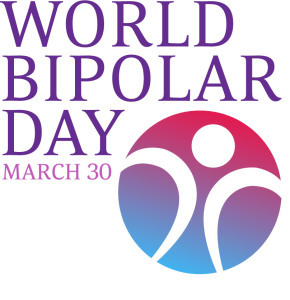 Well, we finally got a day of our very own: Sunday, March 30th, is the inaugural observation of World Bipolar Day, sponsored by the International Bipolar Foundation. The date was chosen because it’s the birthday of artist Vincent Van Gogh, who is said to have suffered from manic depression (although how they can diagnose it posthumously is beyond my understanding). It’s a day to raise awareness and—hopefully—begin to erase the stigma that surrounds bipolar disorder, and indeed ALL mental illnesses.